"I recycle because I care about our environment," said Kym Motley, who lives in First Ward. "I feel I am making a difference, but there is so much more to do. Now, I am focusing on minimizing the amount of stuff to recycle. For example, I use coffee mugs at work so I don't consume a paper or Styrofoam cup." She also said she's stopped buying disposable plastic water bottles and, instead, fills a reusable water bottle with filtered water. Simple steps like that can greatly reduce the amount of waste sent to both FCR and our landfills. Terri Bennett, author of the local blog DoYourPart.com, said becoming a better recycler is all about setting up a system that works for you. In addition to placing recycling bins throughout her home, to make recycling as easy as possible for her family, she also finds ways to re-use materials. "Plastic and glass food containers with lids can be used again in place of plastic bags, wrap or aluminum foil," she said. And instead of reaching for paper towels, use kitchen towels or cloth napkins that can be washed and used again. She also does something she calls "pre-cycling." "This means," she said," choose products in recyclable packaging over non-recyclable packaging, and then make sure it gets recycled." She makes a good point, since we do vote with our dollars, after all. When we buy recycled products, we effectively spur the market for those products, creating more demand, which raises the prices FCR can charge for those materials — and thus the amount of money that Mecklenburg County will ultimately receive as part of its revenue-sharing deal. In addition, when you recycle, you're helping them to fulfill the demand for those products. And those old appliances? Duffy suggests you donate them to Habitat for Humanity, where they are disassembled and sold for scrap metal. FCR doesn't want your plastic grocery bags, either. Those should be collected and returned to grocery stores that recycle them. But the No. 1 tip Gledhill has for recyclers? Participate. "To those of you who don't," he said. "do." 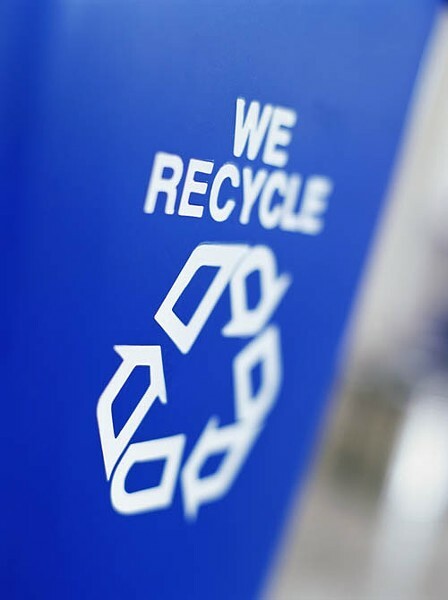 Recycling reduces the amount of money the county has to spend on waste management, can put some extra money into the budget and helps the environment to boot, since landfills not only gobble up valuable land but also emit methane gas, a major contributor to the greenhouse effect. Another tip? Take the tops off any container that holds liquid. That will help prevent messes as trash trucks compact recyclables and in the MRF, ultimately saving them (and us) money. Perhaps the best tip of all, however, comes from Bennett, who said, "Leading by example is the best place to start." She suggests reminding your neighbors when to roll out their recycling bins, or even rolling it to the curb for them. FCR is also educating the county's youngest citizens. Each year, an average of 9,000 area students visit the facility, where they learn about what is and isn't recyclable and even teach them how to create art projects from discarded items. But you don't have to be part of a school field trip to visit the MRF. Anyone can take a tour; just be sure to call ahead of time and set up an appointment. In addition to being "excited" about increased recycling rates, FCR released some more big news last month. The division has been sold to a new parent company, Pegasus Capital Advisors, and its Amble Drive location will become the company's new headquarters, with Duffy the division's president and CEO. From there, he'll manage 18 locations in nine states, marketing more than 100 million tons of recyclables each year, nationwide. Will this affect the firm's ability to serve Mecklenburg County? Absolutely not, said Gledhill, who said he's "highly pleased" with the company, calling its safety record "outstanding." The facility is also actively pursuing an environmental certification, which the county insisted on as part of its renewed contract. This means a few changes, like using diesel fuel instead of gasoline in its on-site equipment. "To our knowledge," said Duffy, "we are the first recycling center in the country that has achieved that."